areas, with a daily limit of one (1) sockeye. With the summer fishing winding down there are a lot of anglers who have hung up their rods for the season. For some of us though, we look at the end of summer as a way to get out and experience some amazing Coho fishing before the weather starts to turn. The Coho fishing out of Rupert has been deadly over the past week and will continue that way for a couple of weeks yet. The big norther Coho are starting to show up and I talked to one angler who landed a 21lb fish this past week. Hoochies behind a flasher is a good way to go this time of year as well as your smaller spoons such as the Luhr Jensen coyote 3.0/4.0. The live image finish in these coyote spoons are my favourite but have also had lots of success on the cop car. Dragging an anchovy can also yield great results as the Coho seem to love them. Personally, I like to run a dummy flasher and a spoon on one side and anchovy on the other. Speed is important when trolling for Coho as well. Unlike Chinook that prefer a little slower tack, the Coho will hit a lure at a much faster speed. Try 3 mi/hr for these fish and you will not be disappointed. Out of Kitimat, the fishing has been great. Fish have been caught all the way down the Douglas and fishing is especially good at Money Point. Unfortunately, things can be hit or miss when fishing Money Point so if you are not into fish right away, try across at Cape Farwell or over at Turtle Point. Switching up your spot can make all the difference. Bottom fishing has been steady with most anglers reporting good halibut and ground fish action. The Gibbs delta hali hawg has been good for us lately as well as the Mudraker jig. A spreader bar with a large herring or belly strip is always a good option as well. Crabbing and Prawning continues to be good on the coast with less anglers on the water which translates to less fishing pressure. For crab, look for salmon bearing rivers and put a trap out in front. The rab will be waiting for the spawned salmon to float downriver and putting a trap out for them should yield good results. When looking for prawns, find a rocky slope at around 200-250 ft to drop your traps. Remember to weight your traps as prawns will not enter a trap that is being moved around by the current. When prawning, I set my traps and then attach a 10lb down rigger ball about 20 ft past the last trap and this will insure that your line and float will not drag your traps around. We are heading out this weekend for one of our last trips so until next week.....tight lines. We have had some pretty heavy rains over the weekend and they have dirtied up the water a bit but it is still fishable and already clearing up. Above the Telkwa it is completely clear and levels are good. Pinks are still in the system but tapering off. Coho fishing has been good this past week but Steelheading remains very slow. 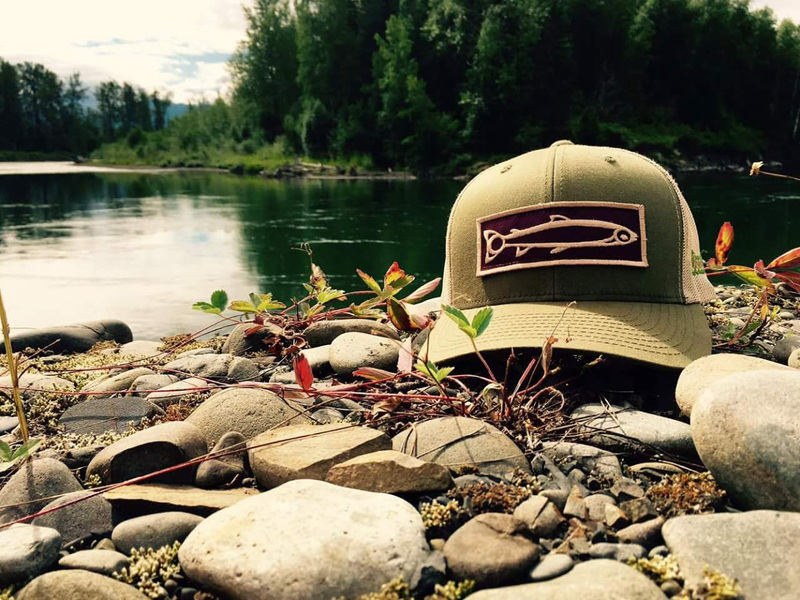 Remember it is mandatory to have your Steelhead Stamp and Classified Waters as of September 1st! This photo was taken today. You can see how much the river has cleared! River is in great shape- it has not had the rain that the Bulkley Valley has had! Pinks still in the system. Coho fishing has been decent, but Steelheading has been tough. River is just dropping after being high for a couple days. It’s in great shape now and the bump in water has brought in a bunch of fresh fish! Pink and Chum are mostly done, but the Coho is pretty much in peak season! Fish the early morning or evening and hook yourself a beautiful Northern Coho! Fishing has been ok, but the visibility is not great-12”-18”. Those who are out there are having to put a little more time in because the clarity is not great, but Pinks, Sockeye, Coho and a few Steelhead are being caught! Try fishing closer to shore in the murky water, or where a clean creek or river flows in. 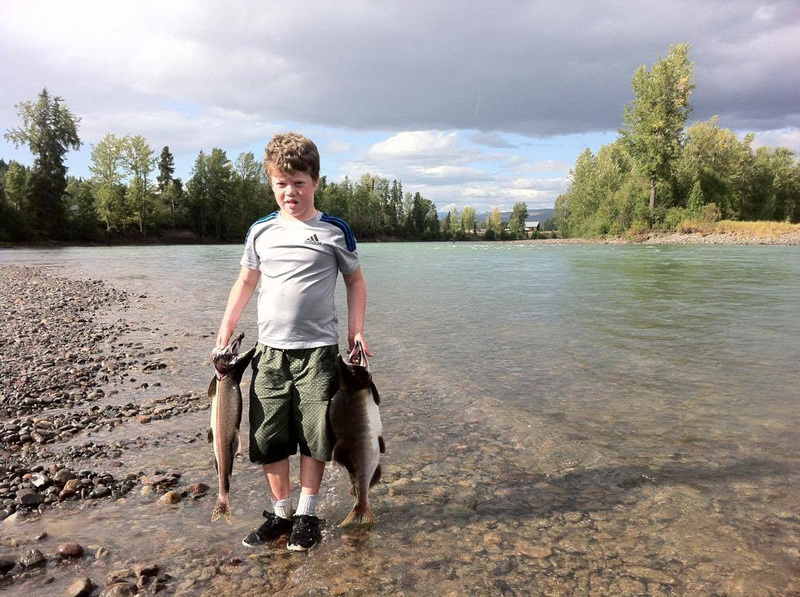 Sockeye fishing has been opened, subject to limitations. Please read notice from the DFO in the ‘lakes’ section.